DIY floral arrangement for every day celebrations! Flowers provide a great way to connect to the natural world. They add life, light and colour to any occasion, whether it’s a backyard BBQ, a bridal shower, or a red carpet gala—making every day feel special. · Sharp scissors, clippers, or a similar tool used to cut through thick materials. · A vessel. Upcycle jars, bottles, wooden crates, cans, or other common household wares to create vintage or rustic-looking floral vases. · Your favourite seasonal flower. Pick some large, medium and small flowers and plants to create a great flow in your arrangement. Step 2: Lay the foundation: Start with a couple of the strongest, medium sized stems and blooms such as baby’s breath and veronicas. Play around with colour and shape as these will accentuate your main blooms. If you desire more stability, feel free to use floral foam. Free flow: It’s much more interesting to look at an organic, free flowing arrangement than a perfect circular bouquet of flowers. 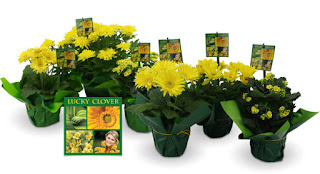 For more information on Bayview Flowers, please visithttp://www.bayviewflowers.com/. Follow @BayviewFlowers on Twitter and like them on Facebook.